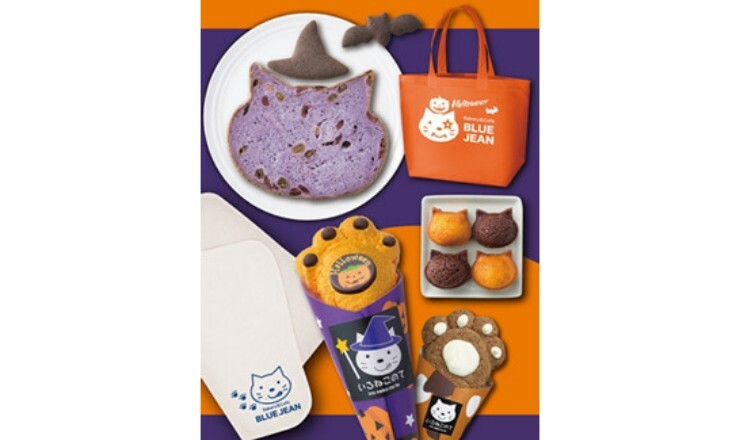 For a limited time only, the Blue Jean cafe and bakery located in Hotel New Hankyu Osaka will sell its new ‘Iro Neko Halloween Set’ for 7 days from October 25. Blue Jean has taken its popular cat bread, mixed it with more ingredients to make it even more delicious and made it purple. The set itself comes with the bread and some Halloween merch and goodies. The bread is grape flavoured and is mixed with dried cranberries and raisins. It comes decorated with bat and witch hat shaped sablé shortbread cookies. 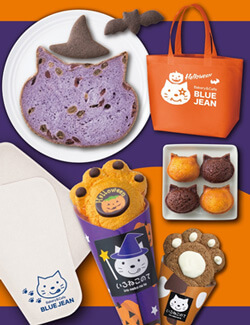 The set also includes pumpkin flavoured cat paw and financier baked desserts. It also comes with a cute blanket which will be very useful for the coming cold season. Next » Cute Cat Bread Loaf Now Available in Brown Bread Version! Cute Cat Bread Loaf Now Available in Brown Bread Version!